I cling to the Summer with all my strenght because I don't want the cold weather to arrive so quickly. I still want to go around in T-shirt and shorts!!! 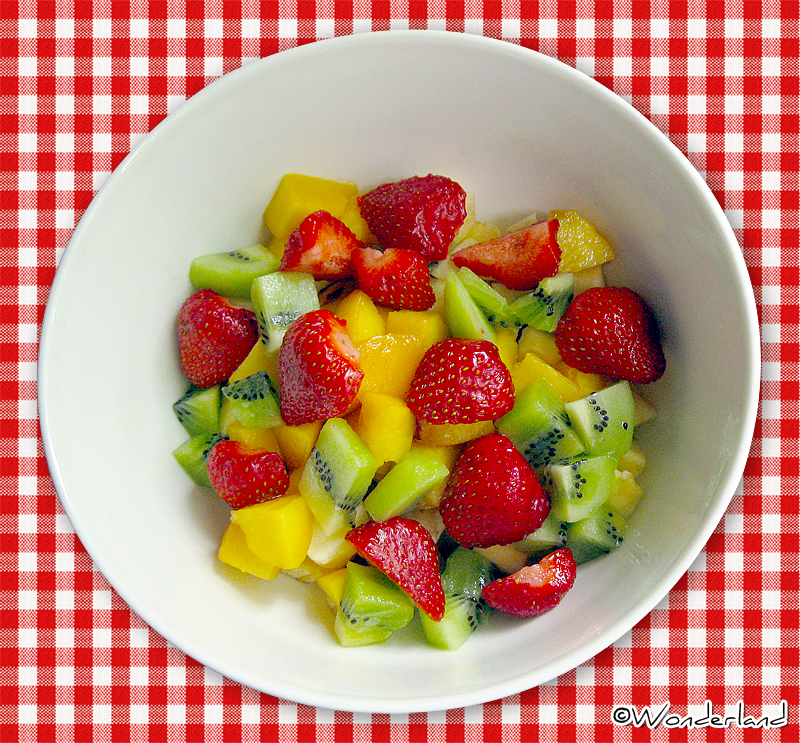 There's a good way to enjoy the last precious Summer moments: eating a fresh fruit salad! Macedonia di Frutta means fruit salad in Italian, and it can be made with any kind of fruit! 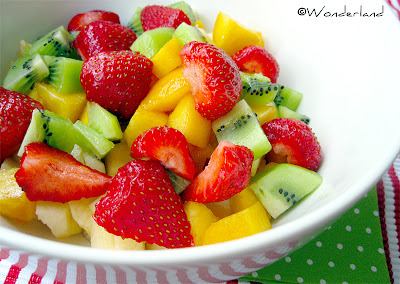 HINT: Macedonia is great as fruit dish, as snack or even as dessert if served with vanilla ice-cream! Wash and cut all the fruits to pieces, put them in a big bowl, add lemon juice and mix well. 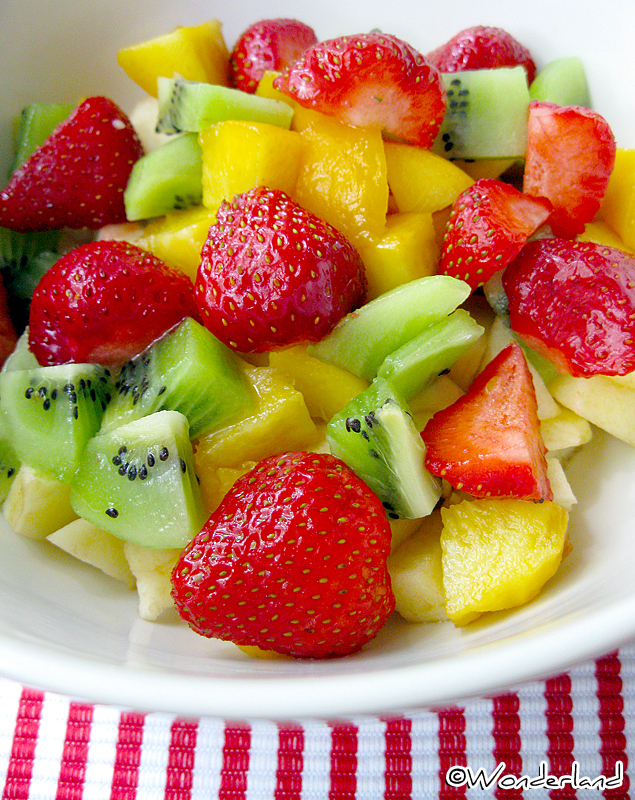 Put in the fridge and leave it there for some hours, serve fresh. If you want, you can sprinkle some sugar on it before serving.